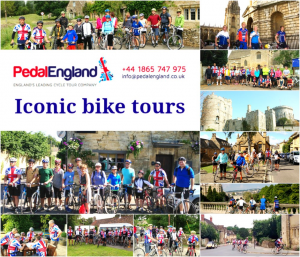 Pedal England operates bike tours through England’s beautiful landscape visiting all of the following in one week of cycling through the beautiful Cotswold region. The tour visits all of the iconic places above and is the perfect mixture of adventure and iconic sites. With 8 and 5 day options, both guided and self-guide and an average of 30 miles per day, Pedal England delivers unparalleled service staying in award winning accommodation, with great food and knowledgeable local guides. Rated excellent by 95% of Trip Advisor reviewers, Pedal England attracts the 50+ adventure traveler as well as independent families who are drawn to the beauty of the English countryside and the majesty of our heritage. 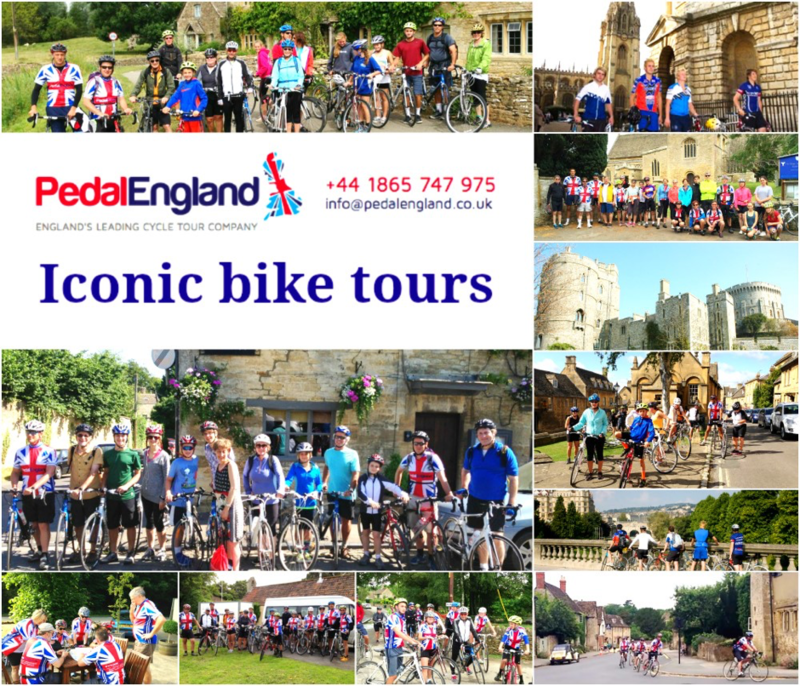 Fully inclusive tours, with excellent bikes and equipment from Giant, Pedal England delivers a real treat for the adventure tourist.